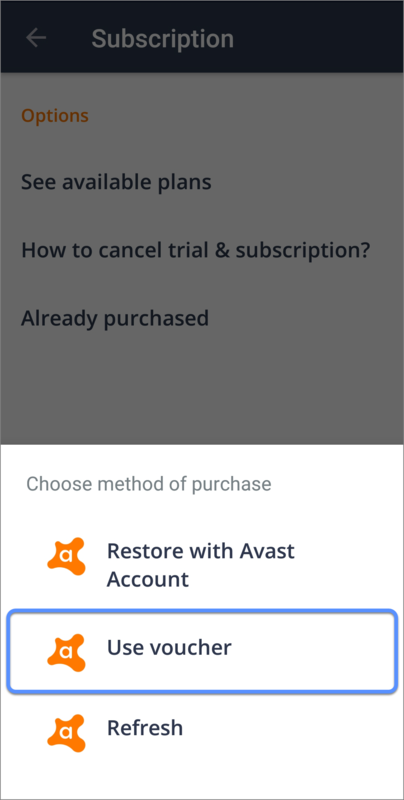 A subscription purchased in the Avast SecureLine VPN app is automatically activated on the Android device you use to make the purchase. 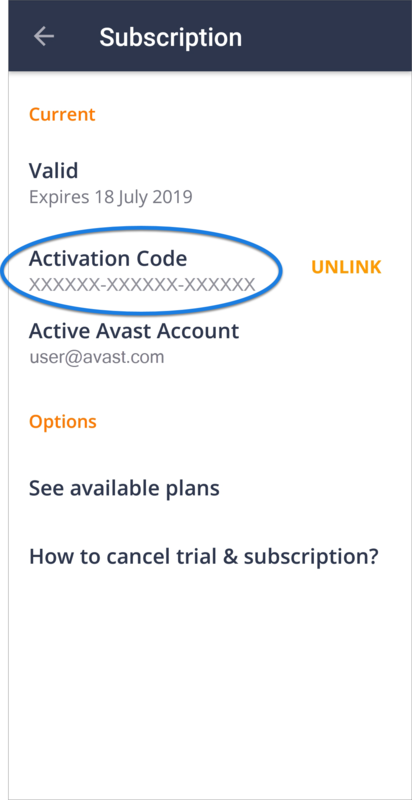 A subscription purchased through another Avast sales channel, such as the Avast Store or an offer within another Avast product, needs to be manually activated using a valid activation code (sometimes called a subscription code or voucher code). 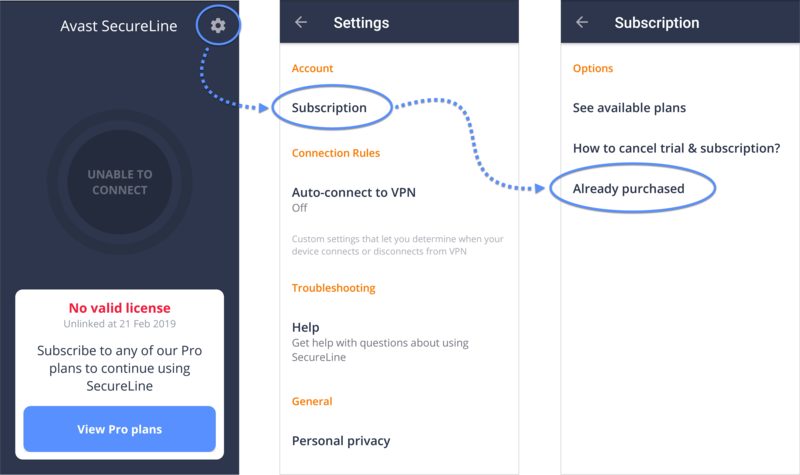 If you want to use your Avast SecureLine VPN subscription on another device, you also need to manually activate it. 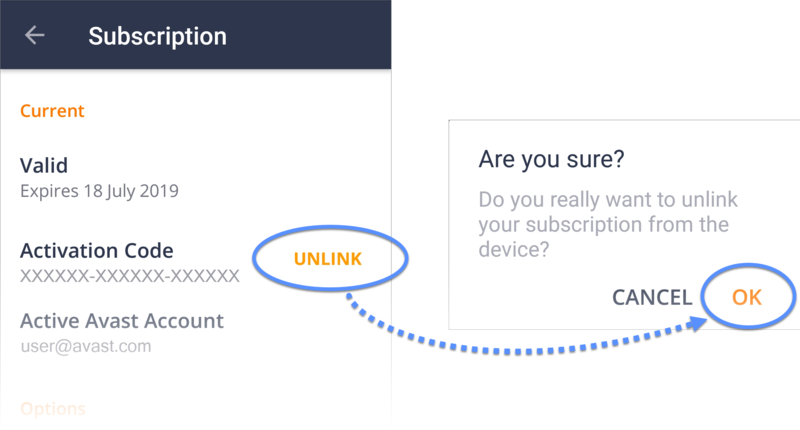 The number of devices you can activate depends on the subscription you purchased. 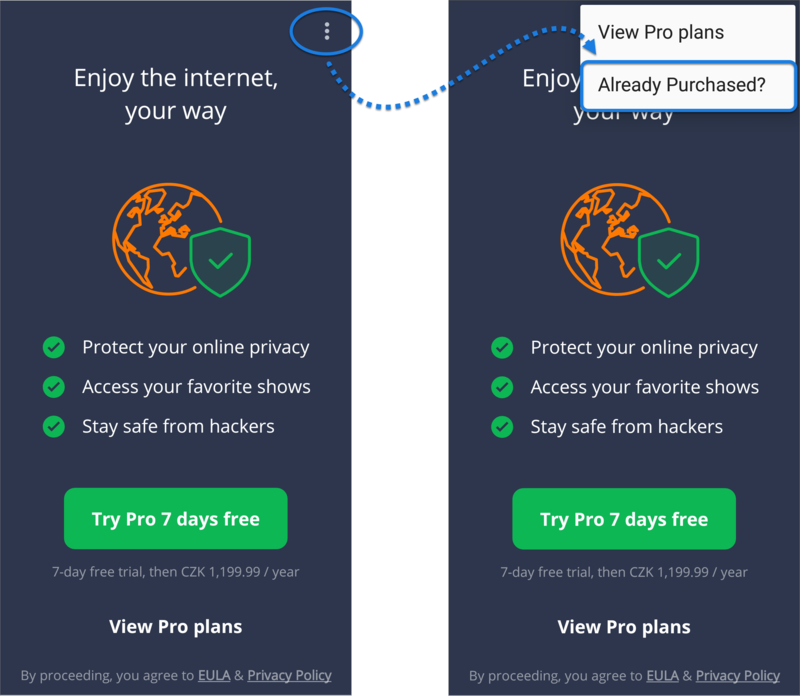 If you are activating your Avast SecureLine VPN subscription for the first time, follow these instructions to activate your subscription using an activation code. 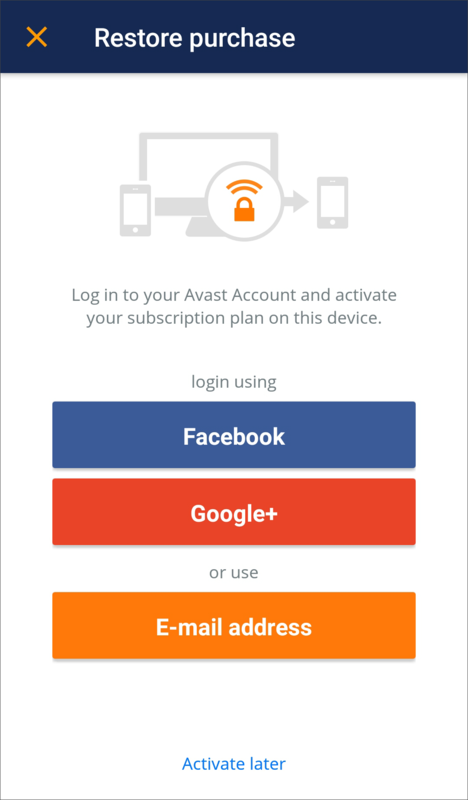 Tap the Avast SecureLine VPN icon on the Home screen of your device to open the app. Tap the ⋮ menu icon (three dots) and select Already Purchased?. 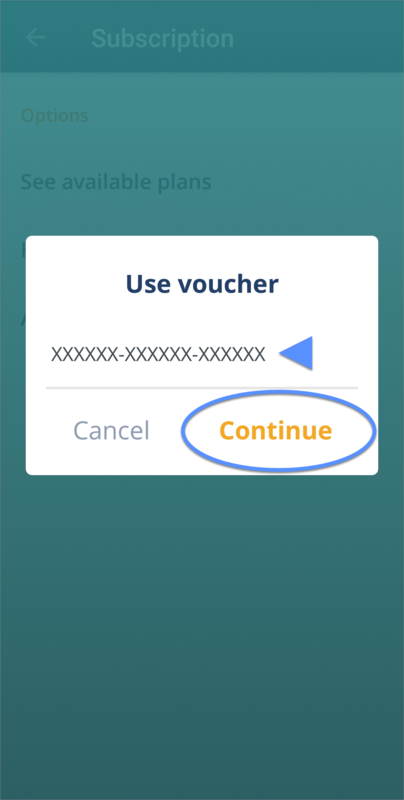 Type or paste your activation code into the text box and tap Continue to complete the activation. Your Avast SecureLine VPN subscription is activated. 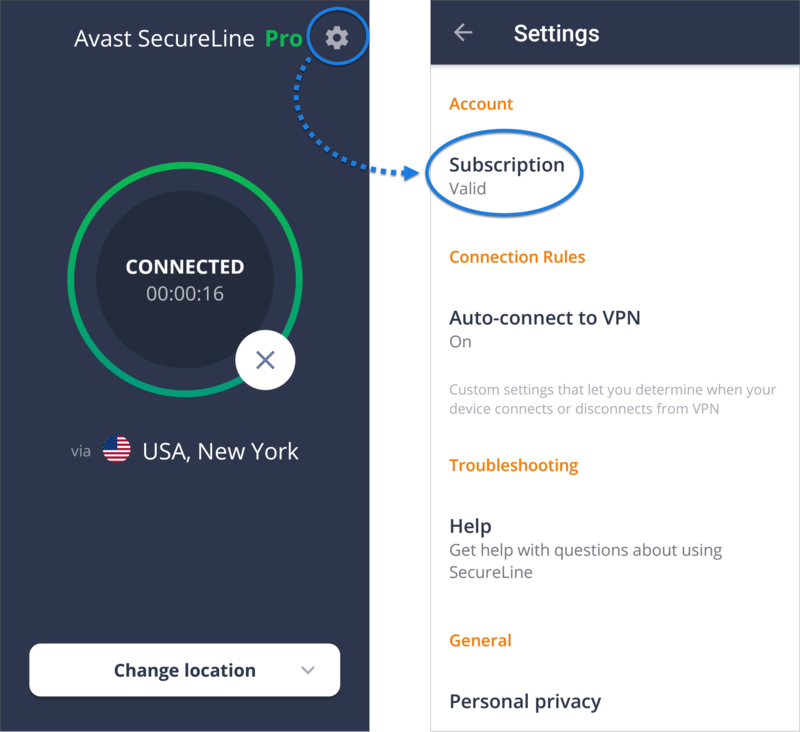 Your Avast SecureLine VPN subscription is automatically activated. Tap Done to confirm. 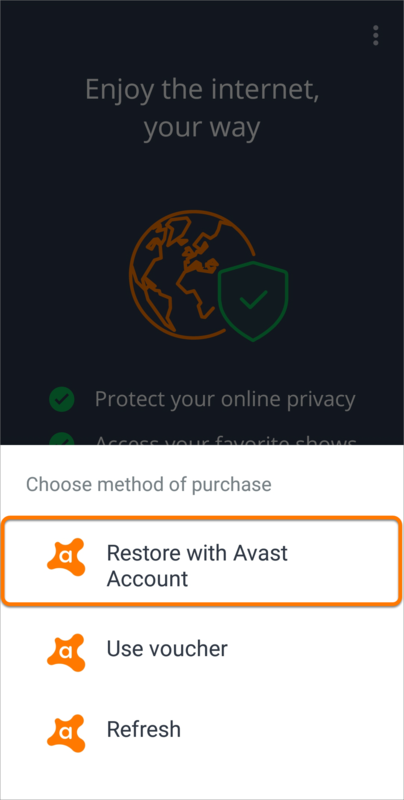 If you change or reset your Android device, you can use this option to reactivate Avast SecureLine VPN via the Google Play store account that you used to purchase your subscription. 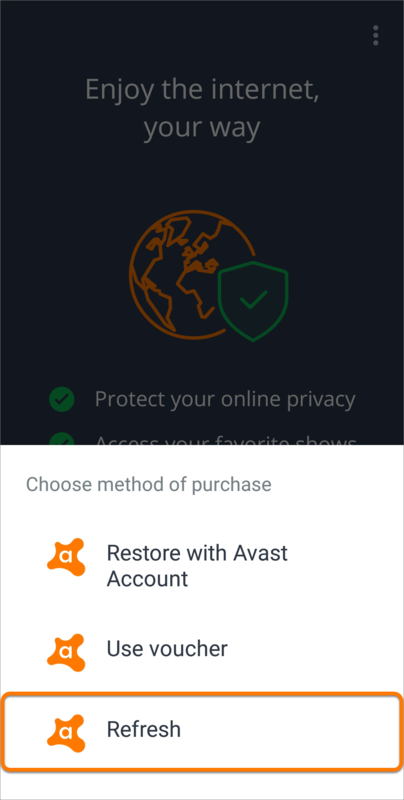 This option only applies if you purchased your Avast SecureLine VPN subscription through Google Play Store. Tap ⋮ menu icon (three dots) and select Already Purchased?. Select Refresh. 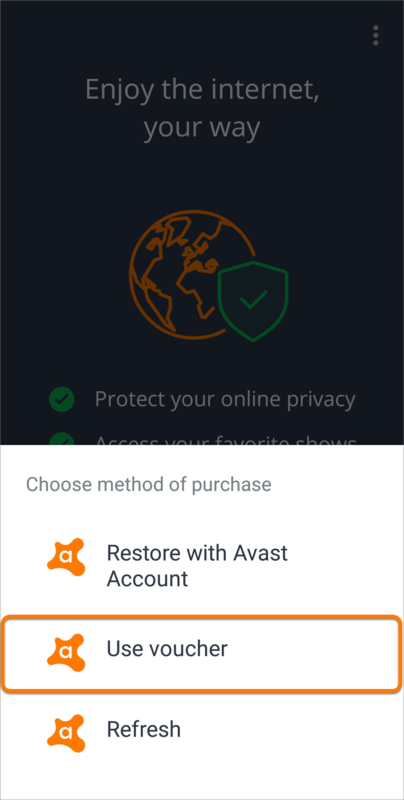 The app will automatically retrieve and activate your Avast SecureLine VPN subscription from Google Play Store. 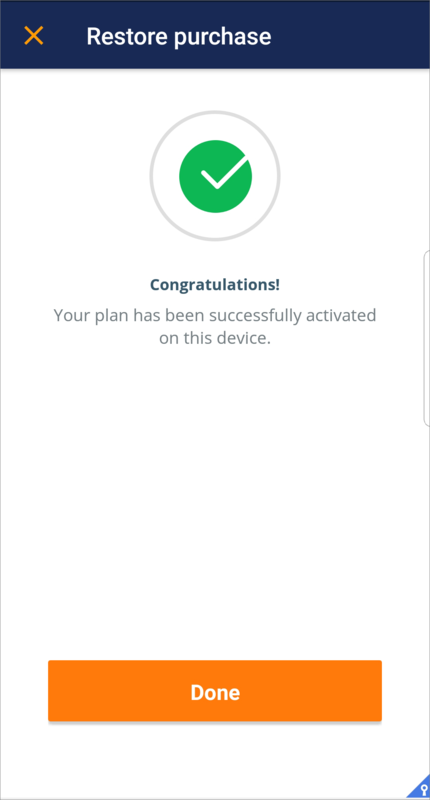 If you have a new activation code and want to change from your current subscription to a new subscription, or transfer your subscription to a different device, use this option to unlink your subscription and then reactivate Avast SecureLine VPN. Go to Settings (the gear icon) ▸ Subscription. Go to Settings (the gear icon) ▸ Subscription ▸ Already purchased.